YOU’LL WANT TO CLICK THE “FOLLOW” BUTTON AND FOLLOW THIS BLOG FOR AN ADVENTURE IN 2019! 🙂 Enter your email and I’ll keep you posted! Chronological means: (of a record of events) starting with the earliest and following the order in which they occurred; sequential, consecutive, in sequence, in order of time. It’s an interesting way to approach the Word of God – and we’ll be finished in one year! Sometimes changing up the routine gives us a new boost – let’s change up our Bible reading in 2019, and see how the Lord speaks to our hearts! Starting tomorrow and every day (yep, EVERY DAY), I’ll post a short daily blog taking us through the entire Bible in chronological order in 2019. Have your Bible handy – I’ll give you a little list of what passages to read each day, and then tell you briefly when stood out to me as I read. You can comment what stood out to you in your reading, and we’ll have a conversation together, letting “iron sharpen iron” (Proverbs 27:17) all year long! Want to go on this adventure with me? Click on the “follow” button down there in the bottom right corner – you’ll get an email when I post (EVERY morning during 2019). I’m making this commitment to you – and maybe that will encourage you to make this commitment with me to God and to His Word. Want to use your own Bible? Perfect – On the blog, I’ll list the Scriptures that you need to read each day. Excited to get started on this adventure with you, friend! The Bible is our greatest treasure! 2 Corinthians 9:15 tells us, “thanks be unto God for is indescribable gift!” I love that! One of many gifts that God offers to us is His Holy Word. Throughout 2019, we’re going to go through the Bible in chronological order – reading events in the order they happened historically. You’ll find that this “rearranging” of the order will keep you on your toes – it’s hard to “skim” when you aren’t sure what will happen next! I love it, and I hope you will too! 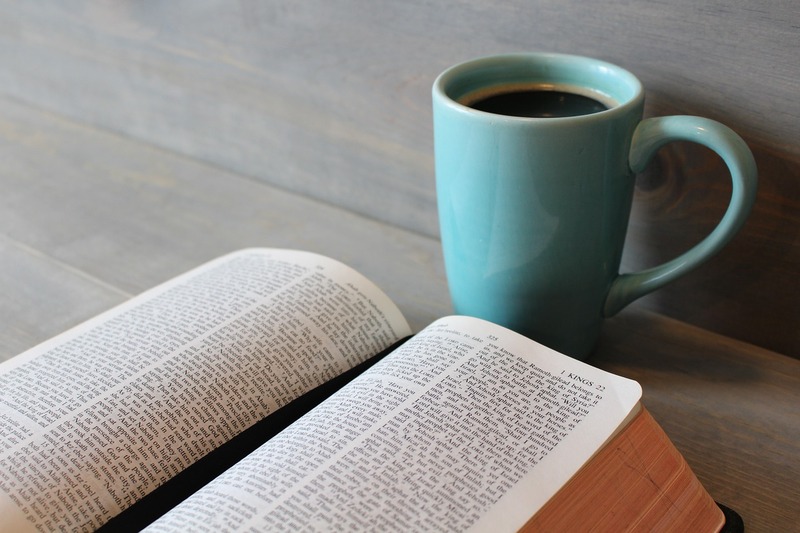 Every day (yep, EVERY DAY), I’ll post a short daily blog taking us through the entire Bible in chronological order in 2019. Have your Bible handy – I’ll give you a little list of what passages to read each day, and then tell you briefly when stood out to me as I read. You can comment what stood out to you in your reading, and we’ll have a conversation together, letting “iron sharpen iron” (Proverbs 27:17) all year long! Want to join me on this journey? Click the “follow” button down there in the bottom right corner – you’ll get an email when I post (EVERY morning during 2019). I’m making this commitment to you – and maybe that will encourage you to make this commitment with me to God and to His Word. Chronological means that we’ll read the events of the Bible in the order that they happened historically, not in the order that they are arranged in our usual Bible. Don’t worry – I have my favorite study Bible too, arranged from Genesis to Revelation the same way yours is! I’m not asking you to give up your favorite – I’m just asking if you want to try reading it in a new way. Maybe we’ll see something we haven’t seen before! In chronological order, I notice new things – and I also notice the different perspectives that each author writes from. Even though we have many different humans penning these words onto paper, it becomes obvious that they were divinely inspired. Some were separated by location, some were separated by generations – and yet every word confirms every word. Amazing! For me, reading the Bible in chronological order really puts events in a different perspective. We’ll be reading these events in the order they happened historically. We’ll see prophets separated by hundreds of pages suddenly put in the correct time and location. We’ll read some of David’s psalms right there with the events in his life that inspired them. We’ll read Paul’s letters as they were written on his missionary journeys. It’s one of my favorite ways to go through the Word in its entirety – and we’ll finish in one year!